A night out—a few hours of fun. What could possibly go wrong? When the group's members agree to meet for drinks at a hip local bar, they have in mind a casual evening of fun. But on this sultry night during the hottest summer in Brooklyn's history, something goes terrifyingly wrong: one of the babies is taken from his crib. Winnie, a single mom, was reluctant to leave six-week-old Midas with a babysitter, but the May Mothers insisted that everything would be fine. Now Midas is missing, the police are asking disturbing questions, and Winnie's very private life has become fodder for a ravenous media. Unfolding over the course of thirteen fraught days and culminating in an exquisite and unexpected twist, The Perfect Mother is the perfect book for our times—a nuanced and addictively readable story that exposes the truth of modern mothers' lives as it explores the power of an ideal that is based on a lie. "The Perfect Mother is Aimee Molloy’s debut novel, and does not disappoint. It’s technically a thriller, but I found it had so much more than the typical, run-of-the-mill thriller that we’ve become accustomed to." - Lizz D. Read her full review here. 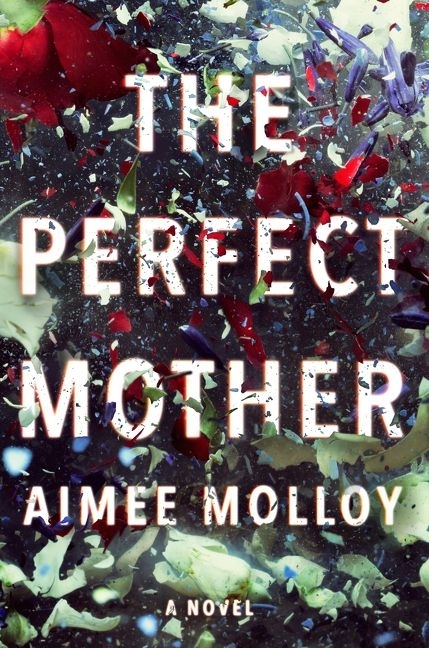 "Once I picked up Aimee Molloy’s debut novel The Perfect Mother, I could not put it down. I would get up extra early to read it before work, sipping my morning coffee and indulging in this psychological thriller that kept me hooked from start to finish." - Leigh M. Read her full review here. "I was drawn into the story from the hop because the characters and circumstances are believable. It was more than a psychological thriller, it was what could be to any one of us in our attempt to be a perfect mother." - Wannietta K. Read her full review here. "The story was filled with twists and turns and false leads, as well as the raw emotion that accompanies motherhood in the early days, which made The Perfect Mother a gripping and powerful book." - Christine K. Read her full review here. "It’s a twisting whodunnit and I enjoyed every second of trying to figure out the answer along with Francie, Collette, and Nell, and I hope you, dear Reader, do too!" - Krys K. Read her full review here. "The Perfect Mother by @aimeemolloy718 is a must-add thriller to your summer TBR list. ... I started reading this today and after only a few chapters, I know that this is a stay up all night and finish book." - Natasha Y. Read her full review here.